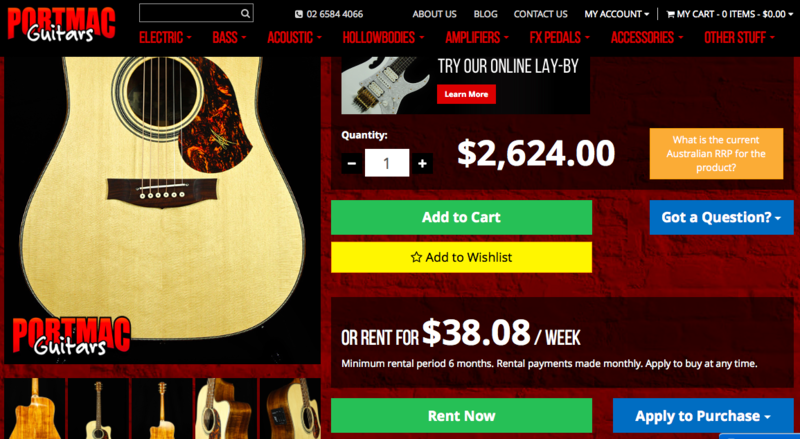 Below our regular "Add to Cart" button you'll notice the new "Rent Now" button. Above this new button you'll see a rental amount listed per week to give you a quick idea of the rental cost. Next to the "Rent Now" button you'll notice the "Apply to Purchase" button that triggers a drop-down when pressed. 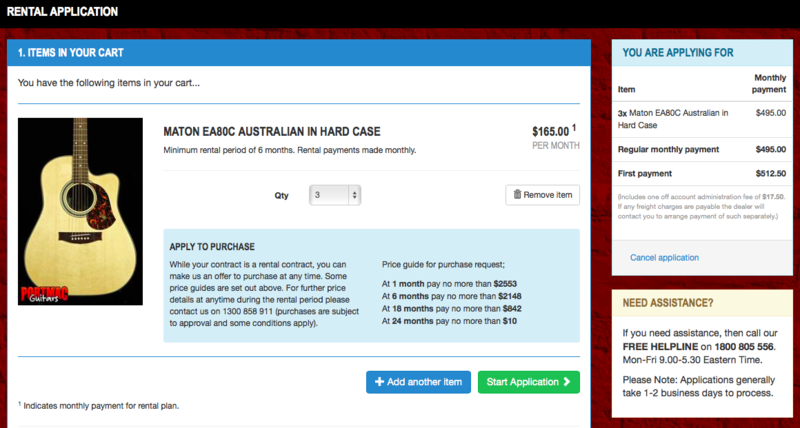 This will give you the pricing of how much you'll pay for your instrument if you decide to pay it out at 1 Month, 6 Months, 12 Months etc. You can actually apply to pay out your rental at anytime. If you click the "Rent Now" button you'll be taked through to the rental application page where you'll be given some more details and begin the process of appling for your rental contract. You can there add additonal items to a Single Rental Contract just by clicking the "+Add Another Item" button. You will also find contact details for Studio 19's Help Desk if you have any questions or need help in filling out your rental contract. That's pretty much it. Jump in and have a look and start Renting today!